If you're a fan of Scrubs and you've been missing Dr. Cox's verbose insults, the Janitor's notorious antics, or J.D. and Turk's one-of-a-kind "guy love," then you might be excited to hear that, according to Deadline, CBS has bought a comedy from Scrubs ' creator, Bill Lawrence. And here's the part that will make your imagination run wild: it's set in a meatball shop. So...how will this all work out? Is it Scrubs filled with meatball terminology? Will someone choke on a meatball and be sent to the Scrubs hospital? And how awesome it would be to see the Janitor return to Bill Lawrence's world with a new job in a new locale? Please oh please let that happen. How glorious would that cameo be?! 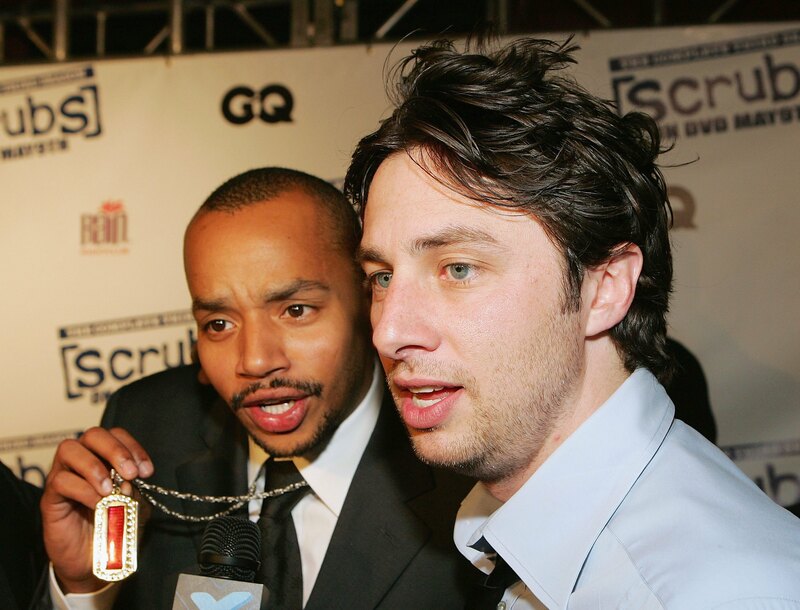 While that's all to be determined, one Scrubs trope will certainly be front and center: guy love. In fact, the heart of this show is male friendship, not balls (the joke writes itself). It's inspired by two real life pals, Michael Holzman and Michael Chernow, who own the popular (AND CRAZY DELICIOUS) Meatball Shop chain in New York City. The two realized that despite their friendship, they hated working together, so in order to keep their business running, they sought counseling, and not from a regular therapist — they went to a marriage counselor. Two dudes trying to save a meatball shop with a marriage counselor? You know comedy is bound to ensue. There's no word if the marriage counselor made these two burst out into the chorus from "Guy Love," but a musical episode set in a meatball shop would certainly be delightful. Holzman and Chernow will serve as consulting producers for the series, which means that you can expect some serious homages to the actual Meatball Shop in the show, which will certainly tickle New York City residents who have visited the real-life restaurant. And never forget the joys of advertising — once the show airs, folks in NYC and the surrounding areas will probably flock to the Meatball Shop's various outposts in droves. Yet despite the traffic this show might bring to the Meatball Shop — and despite those 12-year-old boy ball jokes that are bound to happen, right? — let us not forget with this show is actually going to be about: food and friendship, the most powerful forces of all.